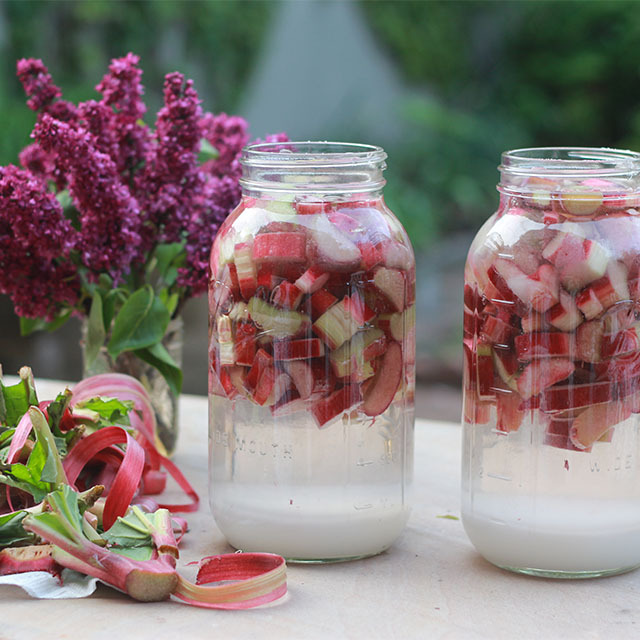 Since spring is springing and I have been writing (and making rhubarb soda pop, above), here is a catch-up post with links to some of the articles I have written recently. Follow the links for stories, and by all means leave comments. Edible Brooklyn - my story about eating sweetfern (Comptonia peregrina), whose fresh, fragrant young leaves are just fluffing out, here in Brooklyn. Chances are it is growing near you, if you have a cabin or summer retreat almost anywhere east of the Rockies! This indigenous herb is unfamiliar to most people even though Native Americans knew it well. Pelham Bay in the Bronx is a botanical hotspot? See why in my Secrets in Plain Sight story for Gardenista. Weeds You Can Eat - Japanese knotweed and why you should eat it (and-by-the-way-did-you-know-that-Scott's- Miracle-Gro-is-in-bed-with-Monsanto?). Plus a hummus recipe to take the nasty taste out of your mouth. BBG in Spring - their Plant Sale begins tomorrow evening (for members) and on Thursday for the rest of us. Definitely worth a visit - plus petals. It has been raining beautifully all night and is still drizzling. We really needed it. It will help push up new growth at Dead Horse Bay this Saturday - there are still spots on that wild foods walk, so come and join us. The moon will be new. The tide will be out. The rhubarb pop will be there, too.